Prime Oceanfront Camping Just A Short Trip Away. 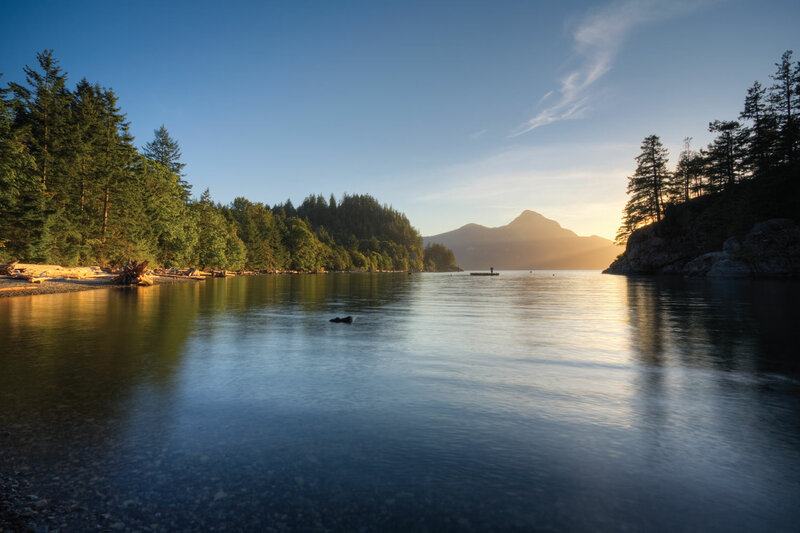 Located just a short drive away from both Vancouver and Squamish, Porteau Cove Provincial Park Campground is luxury waterfront camping that even "non-campers" can't seem to get enough of. Known for its endless views, dynamic sunsets, sparkling waters, pebbly beach and driftwood playgrounds, this popular destination tops many campers' lists when it comes to the campground that has it all. Play in the ocean which offers plenty of recreation from kayaking and canoeing to scubadiving to dolphin, seal, and other marine life sightings, or explore the shore where you'll find plenty of sea treasures from shells to crabs to colourful sea glass. The campground itself features 44 campsites with electric hook-ups, 16 walk-in sites, a shower and washroom building, a newly-built outdoor kitchen complete with covered bench seating and sinks, a sani-station, day-use picnic areas and 2 boat launches. Ice, firewood, propane campfire rentals and snacks are available for purchase at the gatehouse. Porteau Cove Provincial Park is open year round with limited facilities and reduced fees in the winter (November 1 to February 28). Campsite reservations can be made up to three months prior to your arrival date and sites do fill quickly. For reservations visit www.discovercamping.ca.